DIVORCE 911 consulted with Jennifer Keaton of 2 Step Divorces for this blog. 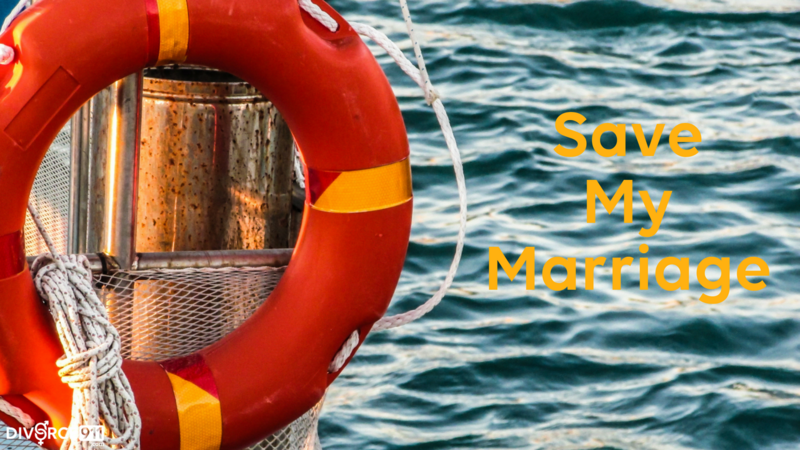 Do you want to save your marriage? Go to a divorce class ! This sounds counter-intuitive doesn’t it? It sounds like putting the cart before the horse. However, the meat and potatoes of this are that you have to know what the other side looks like. If you’re trying to save your marriage you also need to know what it looks like if you don’t save your marriage! Most of the time, couples that are enrolled in divorce crash courses or marriage counseling have a perception of what divorce will look like that is completely different from reality. If there is divorce ambivalence at play, you must have good information to understand that if this marriage doesn’t work… what’s the alternative ? It drives a better, more honest, more realistic conversation in those very, very intense marriage counseling sessions. Seeking out help and information through a seminar run by DIVORCE 911 or a similar group is a way to make that marriage counseling much more meaningful. Soo… before you call it quits- definitely take a divorce class. It helps drive a true, very honest conversation about what we, as a couple, are doing here and what happens if we don’t work it out. This education allows for all sides of the equation to become known. It comes down to you don’t know, what you don’t know. Hopefully DIVORCE 911 can provide what is needed to save your marriage. Please contact us today with your questions, thoughts or comments !